What are the Honda HR-V Trim Levels? The Honda HR-V provides Goshen drivers with an incredible SUV model that can handle a variety of terrains and explorations. What separates this model from other vehicles is that it comes in three different trim levels, so you can achieve the look and versatility that allows you to stand out from the crowd. Whether you’re looking for the model that brings you the basics with a little edge, down to the model that provides you with all the bells and whistles, you’ll certainly find an HR-V model for you. 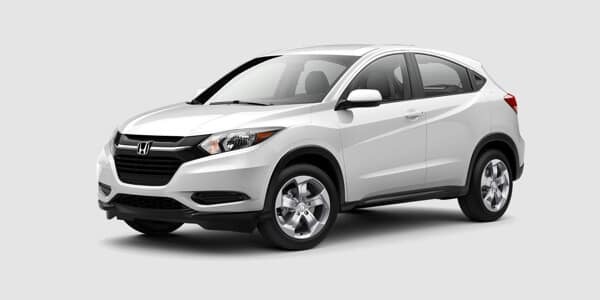 The Honda HR-V LX is the base model of the HR-V lineup that provides Monroe drivers with a variety of features and amenities. The Honda EX model is the middle of the road option that ensures drivers still have fun while on the go. Finally, the Honda EX-L model is the top of the line option with all the bells and whistles. When you’re looking for the Honda HR-V model to bring home, choose the lineup at Middletown Honda. Our dealership has exactly what you’re looking for, so visit us today at 520 Rte 211 E in Middletown, NY, or contact us at (855) 473-3050 to learn more about our vehicle specials, our inventory, or our dealership. 0 comment(s) so far on What are the Honda HR-V Trim Levels?